Around 24 percent of borrowers received mortgage rate offers of 4.25 percent or lower, according to the latest Mortgage Rate Distribution data from LendingTree. LendingTree also released its latest Mortgage Rate Competition Index, the median spread of the lowest and highest APRs offered by lenders in the LendingTree marketplace, which was at 0.88, up from 0.85 the previous week. According to LendingTree, 24 percent of 30-year fixed-rate mortgage borrowers received offers of 4.25 percent or lower, down 37 percent week over week. The report notes that this time last year, just 0.3 percent of purchase offers were under 4.25 percent. Despite the higher percentage of borrowers to receive lower interest rates, the most common interest rate was 4.5 percent, offered to 17.9 percent of borrowers. For refinances, 35 percent of 30-year, fixed-rate mortgage refinance borrowers received offers of 4.25 percent or less, down 51.5 percent week over week. The most common refinance interest rate was 4.25 percent, offered to 19.8 percent of borrowers. According to the most recent Freddie Mac Primary Mortgage Market Survey, these mortgage rates indicate stability. 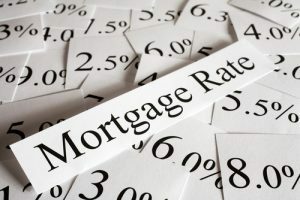 According to the survey, the 30-year fixed-rate mortgage averaged 4.08 percent with an average 0.5 point for the week ending April 4, 2019, up from the previous week when it averaged 4.06 percent, while the -year fixed-rate mortgage averaged 3.56 percent with an average 0.4 point, down from the previous week when it averaged 3.57 percent.